Photo caption: The members of the Hampton Bays Elementary School service organization K-Kids recently donated $400 to the American Cancer Society as part of their 14th annual Denim Day fundraiser. They raised the funds by selling breast cancer awareness bracelets to fellow students, teachers and administrators. 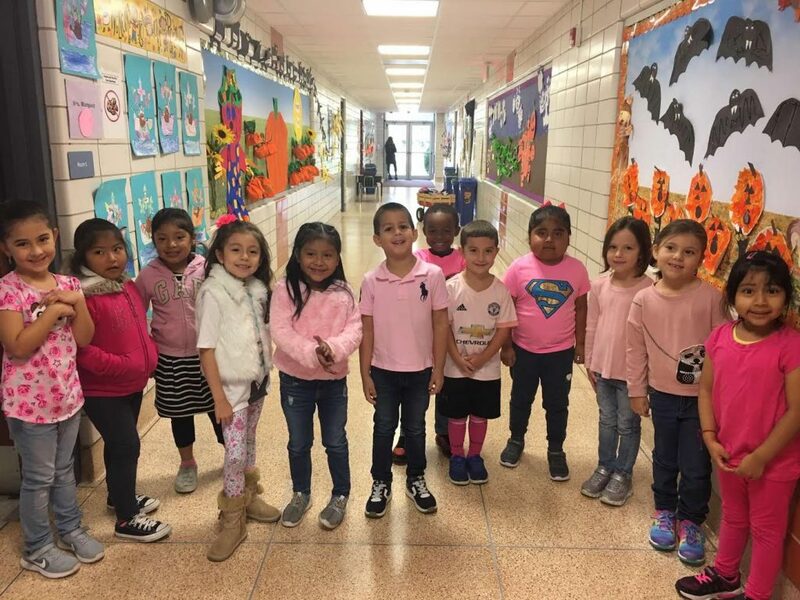 Students and staff also wore jeans and the color pink on Oct. 26 in honor of the cause.